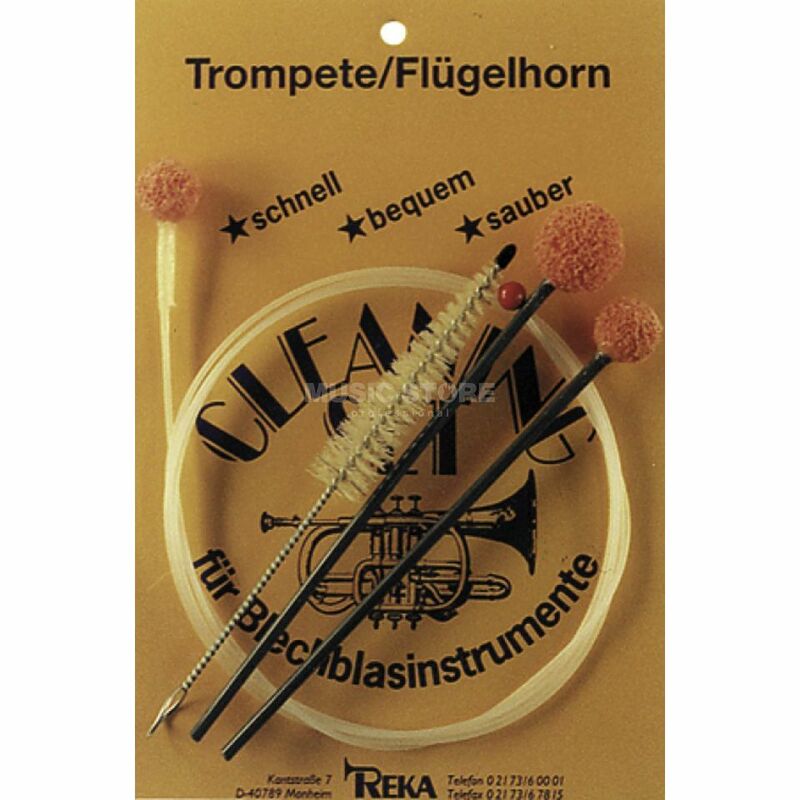 The Reka Cleaning and Maintenance Kit is a cleaning and maintenance kit suitable for trumpets, cornets and flugelhorns. Perfect for your instrument maintenance, the small sponges of the REKA cleaning set are very absorbent and take the humidity and dirt easily from the inside of the instrument. The dirty sponges can be cleaned easily. The rod is wrapped around with nylon and protects the instrument from scratches.